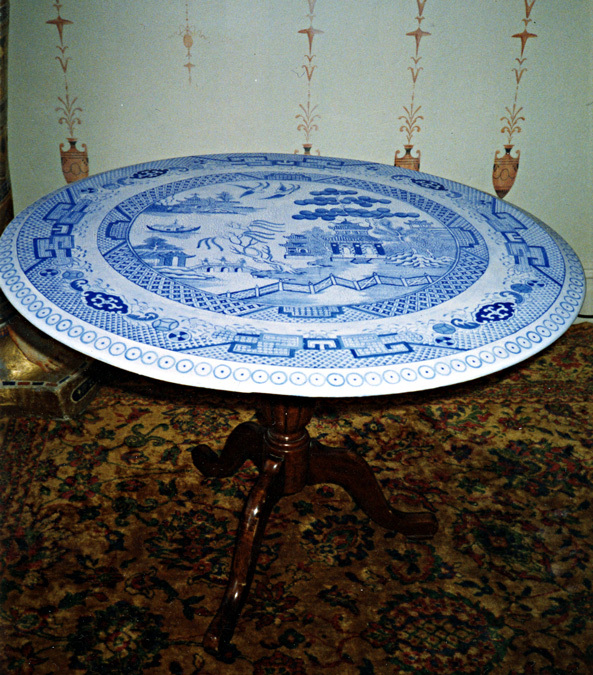 Mahagony pedestal table painted in the Blue Willow pattern. Finished with crackle varnish to imitate crazing of an old piece of china. Table top is 42 inches in diameter.